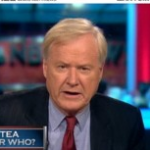 On Mediaite today: Chris Matthews interviewed that standard-bearer for democracy, Pat Buchanan. Buchanan was on to talk about whether universal suffrage is a good idea or not. Controversy! Buchanan noted that while he “understand[s] the principle,” he thinks that property holders tend to be more involved citizens, since their stake in politics is much higher. 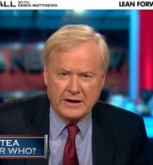 Matthews’s response: “I thought you were anti-elitist.” Tee hee! Watch the clip here. 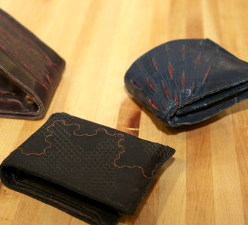 Geekosystem reports on a series of wallets, created as an MIT project, that irritate their users as a way to curb spending. 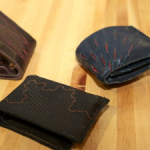 One wallet buzzes with each bank transaction, another’s latch is difficult to open in proportion to the owner’s bank balance, and another deflates as more money is spent. Am I nuts, or are these weirdly reminiscent of that feral, snarling book Hagrid assigns Harry for his “Care of Magical Creatures” class? To read the full post, click here. Uh-oh. 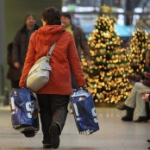 Styleite reports that smartphones may be rendering salespeople obsolete, as shoppers with Blackberries/iPhones, et al, would rather use their phones to hunt for information than ask the living, breathing person who is paid to answer their questions. To each their own! While this is a relief for those of us who can’t stand pushy sales associates, it’s a bit of a bummer for people working on commission. Get the full post here. Ugh, LeBron! Stop saying unlikable things! 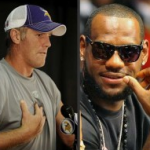 Sportsgrid has his latest awesome moment, where, idiotically, LeBron responded to a question about relating to Brett Favre with the following PR gem: “…any time a great competitor like that leaves, no one wants to see that.” I just…LeBron! You have got to stop saying unlikable things! To read the rest of the post, click here. Holy moly: Gossip Cop reports that Jessica Simpson’s fashion line, The Jessica Simpson Collection, is worth nearly $1 billion. ONE BILLION DOLLARS. All this time I thought she was kind of spinning her wheels, dating pro athletes, and it turns out the girl’s a mogul. The more you know! Get the full post here.